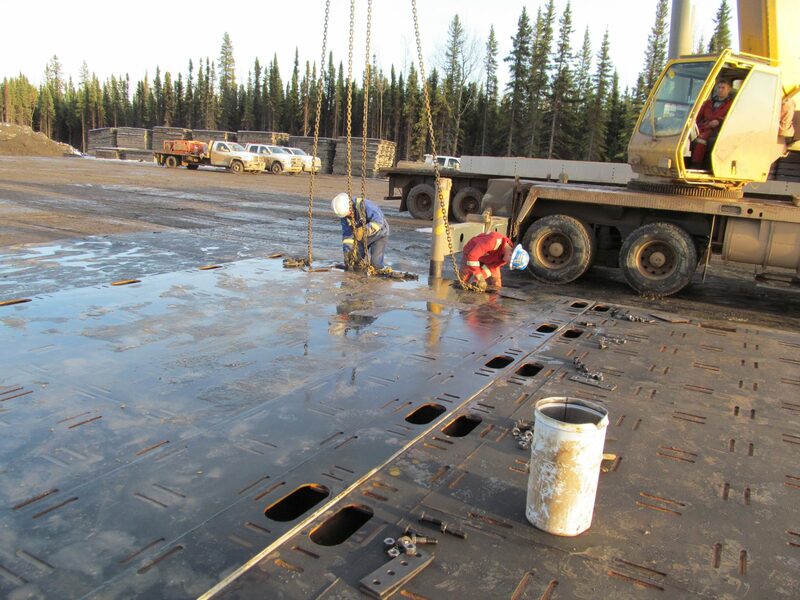 This project highlights one of GNB’s unique offerings, our engineered steel “Bridgemats”. 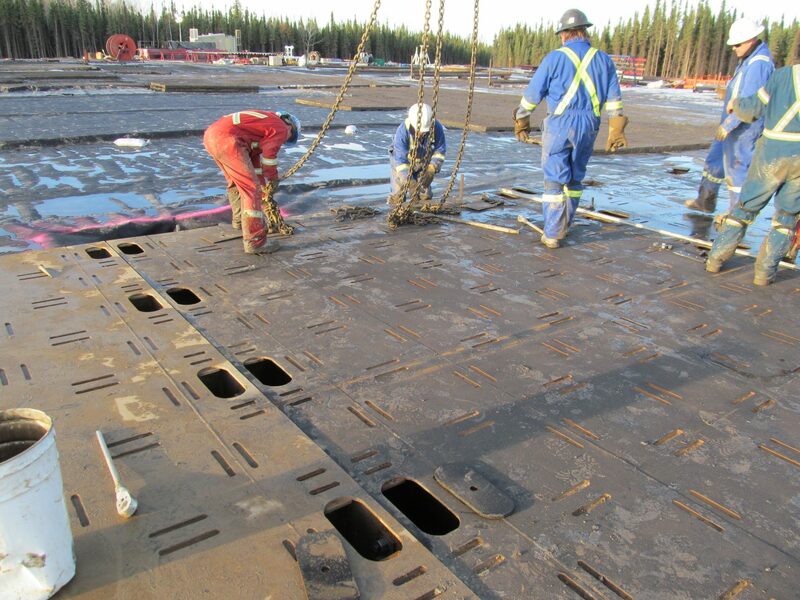 These walking rig mats can be used as both a bridge and a rig mat. Each unit can be used as a temporary crossing for short distances and interlocks to provide significantly increased loading capacity (compared to standard rig mats). The interlocking feature also provides substantially more stability on soft ground and will ensure the mats do not buckle at the joints. 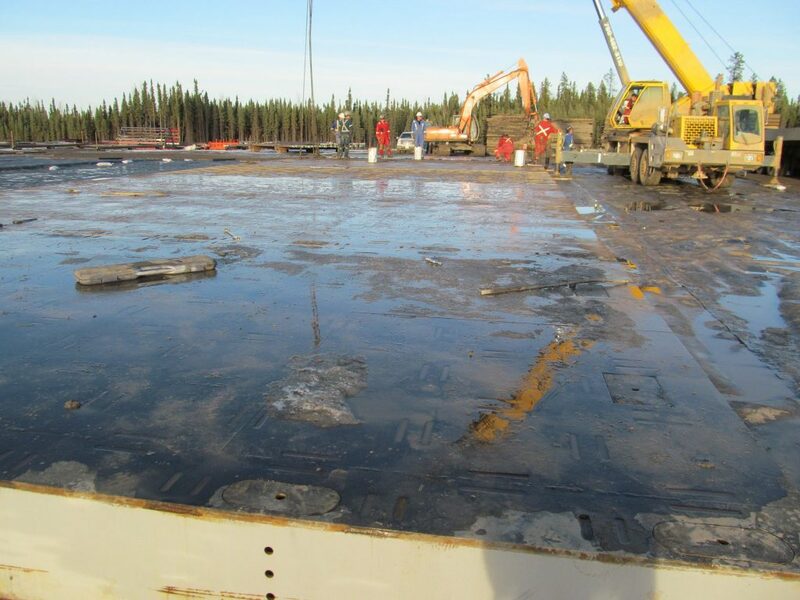 For this project the mats were designed, built, and installed for the derrick side of the rig to allow the rig to walk unencumbered to each drilling point.